You’re nearing the end of the second month of baby’s life, but there is no recipe for making life as the parent of a new child easy, even for those who have already been through the experience. 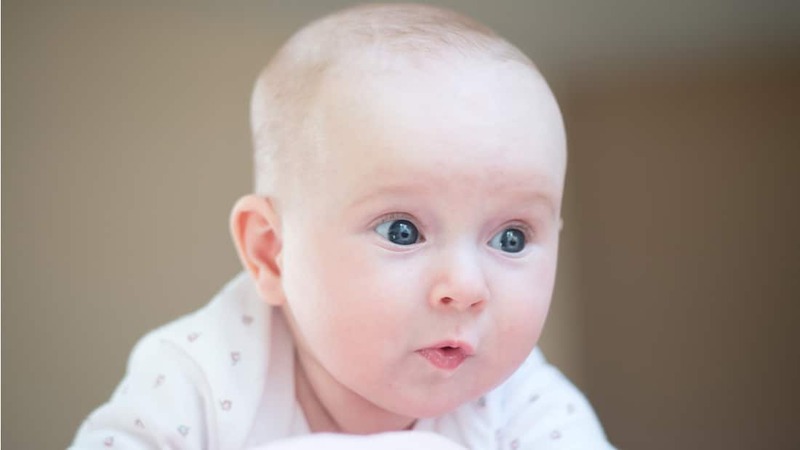 It is normal to have questions, and we’ve answered some of the most common you may have in week 9 of your baby’s development. Baby is around two months old now so may be beginning to settle into both her routine and the new experiences of the wider world. If you’re lucky, this may be reflected in a lessening in the intensity, frequency and length of her crying, which may now begin to ease off. However, be aware, crying is still her most effective means of communication, and is also a natural consequence of so much growing, learning, appetite and frustration. Hopefully baby will now be sleeping for longer periods (perhaps for as long as 6 or 7 hours in one stretch) and, hopefully, fitting these around her more predictable and less demanding feeding patterns. She’ll probably sleep between 12 and 16 hours a day, but because most of these hours are likely to be taking place at night, you may find that you have more time and energy than you did just a few short weeks ago. You can help make sleep easier by implementing a routine. Try reducing her exposure to smartphone and computer screens around this time (of course she won’t be using them herself, but her sleep patterns can still be disrupted by the light they emit) and try feeding her just before bed. What about hearing, seeing and smiling? Your baby can now hear as well as you do and this is proving a useful tool to aid her increasingly curious mind – try her with a rattle or similarly noisy toy and watch her react to the sound it makes. There is a good chance that she is already smiling but don’t worry if it hasn’t happened yet: it’s merely a joy delayed and you are likely right on the cusp of that day of wonder. Baby’s vision is also developing and she is now beginning to see in 3D. It is truly an incredible experience when baby has recognised your voice, turned to see your face, recognised this too, and smiled! Has baby got a grip? Baby already has the reflexes of a Premier League goalkeeper. She can move, twitch, grip and grasp with even the best of them. She is also grabbing just about everything, so be careful not to leave small dangerous objects within her compass. There is no particular need for baby to be social at this age. However, it will likely benefit baby if her parents are not socially isolated. This means you should now begin to make the most of the opportunities you have to get out among your friends, family and community. Whether you are going for a stroll in the local park, are trying out a playgroup or are simply venturing out for a coffee or visiting the library, if you stay social it is likely that your mental health will benefit, and this has knock-on effects for baby well into the future. What’s more, it can be fun to watch baby interacting (if this is not too strong a word) with other children around her age, whether this takes place during tummy time, over a café table or in your local park. If you are feeling up to it and your GP agrees that it is a good idea, now may be a good time to take part in some form of gentle exercise. This is often something that is good to do in a group setting – perhaps with other new mothers – as it can help get you out of the house and get you social as well as fit. If you are struggling with low mood, anxiety, social phobia or excessive and obsessive worrying about yours or baby’s health or safety, it is a good idea to speak with a professional. Postnatal mental health issues are very common – around 1 in 5 women are affected by mental health difficulties in the year following their pregnancy. There is a lot of support available to help you manage things as best you can. Dr Sylvia Garry explains the topic of postnatal depression in more detail and covers what support is available. Find out more about what to expect in week 10.